600gsm Combed Luxurious Egyptian Cotton. Hand.. 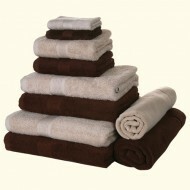 Luxury Hand Towel 20" x 33" Cream..
500gsm Carded Cotton.Bath Towel – 27" x 51". ..